Think of it as your individual pizza topped with delicious freshness. 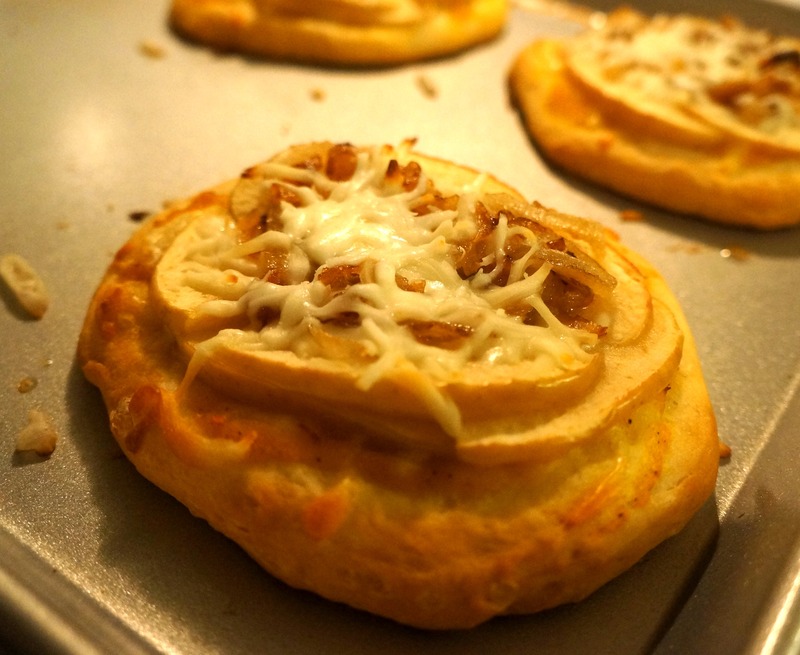 Apples and caramelized onions smothered in cheesy mozzarella with a hint of squash sweetness. What’s not to love? And to literally top it all off, sprinkle on generous portions of arugula to give it the final seal of fresh goodness approval! At least that’s what it does for me 🙂 Mind you, I can get pretty liberal with my ingredients – nothing really needs to be measured, because at the end of the day, this is meant to be a build-it-yourself pizza. You’re supposed to make it how you like it, no holding back now! So I hope you’ll have fun with this, and that this’ll be a home run pizza that you and your family will just gobble up! Heat oven to 350°F. Heat up winter squash as directed on package. Mix in salt, pepper and red pepper flakes for tasting. Heat oil in medium skillet, and caramelize onions over low heat for 20-30 minutes. Separate dough into 8 biscuits and flatten each dough rough. Spread each round with generous serving of squash puree. Layer 4-5 thin apple slices on each dough round. Sprinkle on mozzarella cheese. Top each round with caramelized onions. Sprinkle on more mozzarella cheese. Bake in oven for 16-18 minutes or until golden brown. 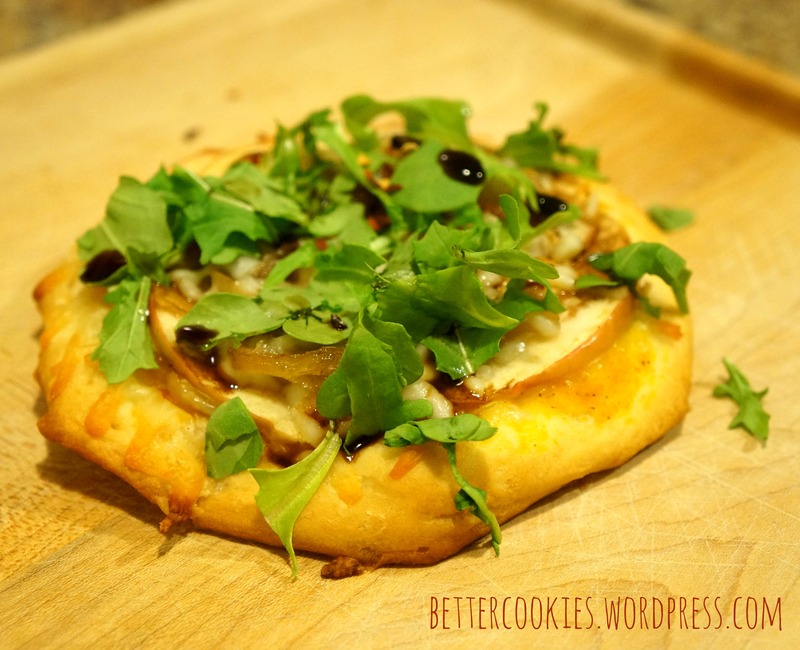 Serve warm with fresh arugula and dollops of balsamic vinegar.